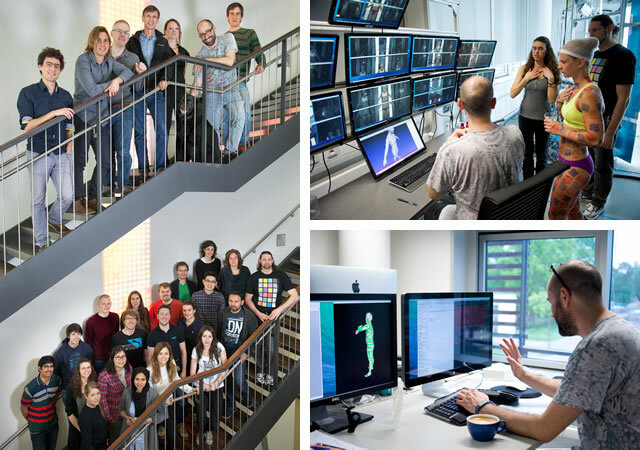 Why do your PhD or postdoctoral research at Max Planck? We are the Perceiving Systems department in the Max Planck Institute for Intelligent Systems, located in Tübingen, Germany. 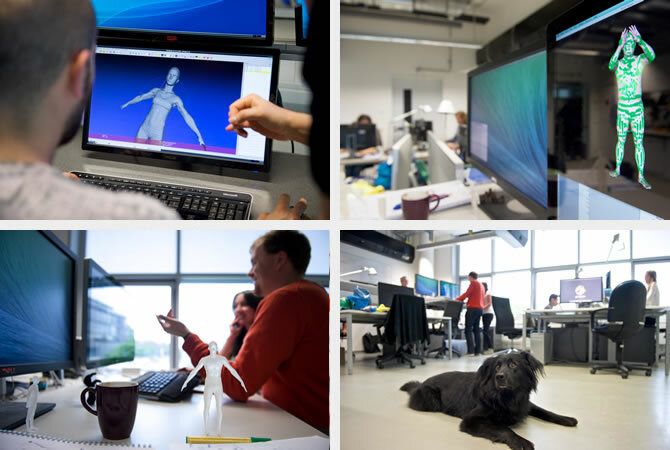 Perceiving Systems is a department in the MPI for Intelligent Systems (IS). The other two IS departments in Tübingen are Autonomous Motion (led by Stefan Schaal) and Empirical Inference (led by Bernhard Schölkopf). Thus the institute covers computer vision, machine learning and robotics. Also on the Tübingen campus is the MPI for Biological Cybernetics, with research on human perception, MRI, and visual neuroscience. The Max Planck Society has one mission — to do the world’s best basic scientific research. Research at a Max Planck Institute (MPI) is fully curiosity driven. There are few other places in the world where this is still true. Students are not put on projects to satisfy grants because we have few, if any, external grants. Projects do not need to be justified by applications or external review. Scientists, and only scientists, decide what research to pursue. MPI is as a pure a scientific environment as you will find anywhere. From day one, PhD students get involved in basic research at the highest international level. Unlike universities, students do not have to perform teaching or other duties; they can focus on science. The language of the department is English. You do not need to know German to work or do your PhD here. The Max Planck Society is one of the world’s most recognized and respected scientific research organizations. Max Planck directors have won 18 Nobel Prizes. If Max Planck were a university it would be ranked #2 worldwide, behind Harvard, in publications/citations. Nature’s 2013 ranking lists Max Planck as #5 worldwide. The Max Planck reputation gives you international recognition and exposure. If admitted, your PhD is funded by the department at a level sufficient to cover your living costs, health care, etc. There is no tuition fee. You do not need to find your own funding. We have no fixed starting date for the Ph.D. While we post calls for applicants throughout the year, you can apply any time by sending your application to ps-apply@tuebingen.mpg.de. Check our webpage for current papers, themes and projects to find out what we are currently working on. 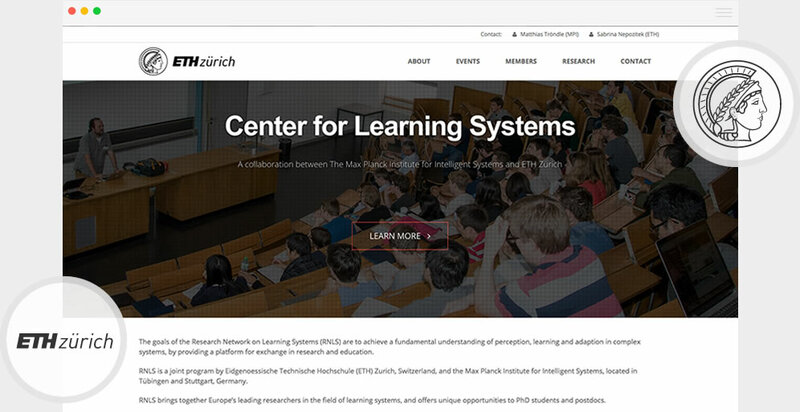 Our institute and the ETH Zürich are partners in a joint research center on learning systems. 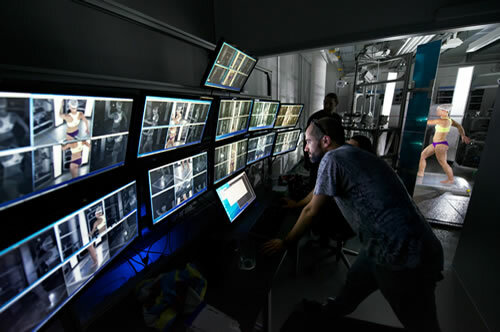 The center supports joint research projects and connects two of Europe’s top institutions for research on vision, learning, AI, control and robotics. The center runs meetings and summer schools, which are open to members of the department. Students and postdocs can get involved in joint research, spend time at the ETH, be jointly supervised by MPI and ETH faculty, etc. There is no stronger organization in Europe within which to pursue basic research on computer vision. The MPI model is different from a standard university. Students do their PhD at Max Planck, supervised by an MPI scientist, but receive their official degree from an affiliated university. This arrangement exists because Max Planck does not grant degrees. It sounds more complicated than it is. 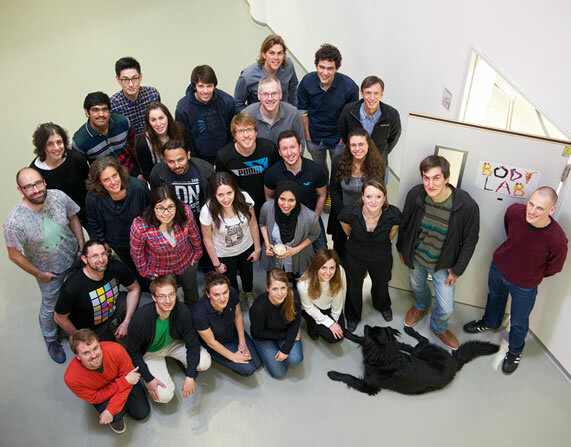 Students in Perceiving Systems currently have two options for where they get their degree: ETH Zürich or the University of Tübingen. The ETH is the top technical university in Europe. The University of Tübingen, founded in 1477, is one of Germany’s “Excellence” universities. The ETH option requires some coursework, which can be satisfied in a variety of ways, including through formal courses, summer schools, and presentations at conferences. For students with a Masters in computer science or related discipline, the Tübingen option typically has no course requirements. Typically students come with a Master’s degree and then the PhD takes 3-4 years. If you do not have a Master’s already, there are several options for how to deal with this, depending on your particular situation. The Max Planck institutes are well funded and are committed to having the very best research infrastructure. If your research requires special equipment we will find a way to build it or buy it. 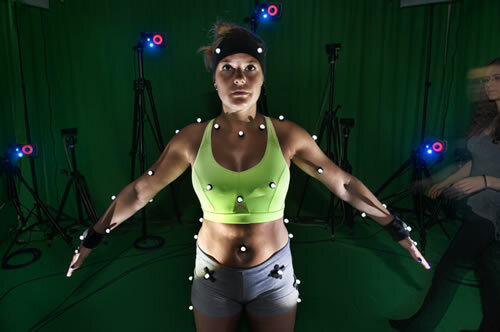 In Perceiving Systems we have unique facilities for 3D and 4D body scanning. We also have a multi-camera video capture system, a Vicon motion capture system, and a wide collection of other sensors and cameras. Our institute runs a large compute cluster that is available to all researchers. Additionally, we have access to the central Max Planck cluster, the 34th fastest supercomputer in the world. A great research environment requires great support. Because of the stable MPI funding model, we are fortunate to have central scientific facilities that support our research. The Scientific Computing facility runs the cluster and provides consulting to researchers who want to parallelize their code. The Software Workshop supports researchers in improving their code, making it more professional for internal use or external release. The Optics and Sensing Workshop supports all manner of camera systems, sensor systems, synchronization, calibration, etc. We also have web support to help researchers develop research webpages for disseminating results or for data collection. For work involving human subjects, we have expert coordinators who help with trial design, ethics approval, subject recruiting, running trials, managing data, etc. Students have many opportunities for collaboration within, and outside, the department. In addition to the director (Michael Black) there are research faculty (Peter Gehler, Andreas Geiger, and Javier Romero) who supervise students. There are also many post doctoral researchers who may get involved in collaboration and co-supervision with students. You will be surrounded by researchers working at the highest level and publishing in the top conferences and journals. Note that we follow international norms of authorship; this is not the old model where the director’s name goes on all the publications. Young researchers are at a time in their lives where they may be starting families. We have great, affordable, on-campus daycare (Plankton). There are also many other options available to parents. The daycare situation (availability and cost) is significantly better than in the US. For many PhD students there are few or no formal course requirements. If you want to take classes, you can do so at the University of Tübingen (most graduate classes are offered in English). We also hold summer schools and send students to other summer schools. Students wanting to get their degree from the ETH require course credits; talk with your advisor. The department runs an active talk series. If there is someone you think is interesting, we can easily invite them to MPI to give a talk. These visitors give students a chance to meet and interact with leaders in the field. Additionally, there are many other talks on campus hosted by our institute, the other departments, and the other institutes. The department regularly hosts short and long term visits by senior scientists (e.g. sabbatical visitors). This gives everyone in the department exposure to new ideas and a chance to interact with leaders in computer vision. The employees at MPI are from all over the world. The department is a social hub and people organize all kinds of events from movie nights, to hikes, to visiting festivals and markets. Our institute is a supportive place work, play, and learn. We all love what we do and spend a lot of time doing it so it is important that it is fun. This is not a “Herr Professor Dr.” kind of place. Rather it is an environment of flat hierarchies, mutual respect and cooperation where we are all learning from each other. 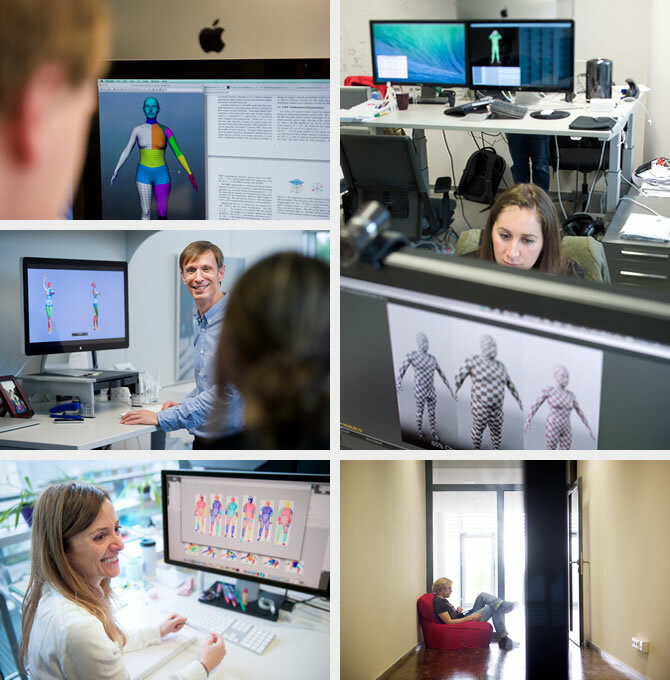 If students want to patent inventions and license software, the Max Planck Innovations group helps with this. In many cases, however, we make code available as open source. We support researchers in making these decisions and facilitate the process to help researchers have a bigger impact. The students run a computer vision reading group and there are other informal support groups of students to gain practice presenting their work. There are also book reading groups, and in general, if you are interested in a particular topic, you likely find a group interested in learning with you. Attending conferences is critical for learning about the field, getting to know your peers, and presenting your ideas. If your paper gets into a good conference your travel is covered. For new students, we also support going to a conference early on (even without a publication) so that you can get the feel for it. PhD students often go on internships. This is not required but many students want to know what it is like to work in a company or industrial research lab. We help find students a good internship that complements and enhances their research while helping them build a larger network of collaborators. The MPG is committed to open access and the department is committed to supporting your research. Having an impact means reaching the biggest possible audience with your work. Consequently, we pay open-access fees when necessary so that your work is always available for free to everyone. You will have access to state-of-the-art High Performance Computing facilities. The in-house Scientific Computing facility includes a cluster with CPU compute nodes and energy efficient GPU accelerators with peak performance of around 130 TeraFLOP/s, and vast amount of storage. You can also use the 2.7 PetaFLOP/s supercomputer at the Max Planck Computing and Data Facility. To get your work out we run a great department web page. The institute has a PR team that helps researchers get the word out to the press. We also actively use social media to promote research. Our welcome service helps new people get settled in Germany, making the process very easy. The department has excellent IT and administrative support that makes everything run smoothly. We offer courses to promote health and many of us use standing desks. We provide free German lessons on campus. Taking German is fun and is a great way to meet new people and to master some basics of German. Some people in the department are a little obsessed with espresso and we run a high-quality machine and grinder. In addition to your PhD research, you can learn to make espressos and latte art like a barista. But if you are a tea drinker, don’t worry, you will not be alone! Every Friday there is a social event with German pretzels, beer, and soft drinks. In summer, this is held on our top-floor terrace with pretty views of the Swabian Alb. We also have regular barbeques in summer. Surprisingly often there is cake or other goodies in the department. To keep us healthy, we also have fresh fruit delivery for a minimal cost. 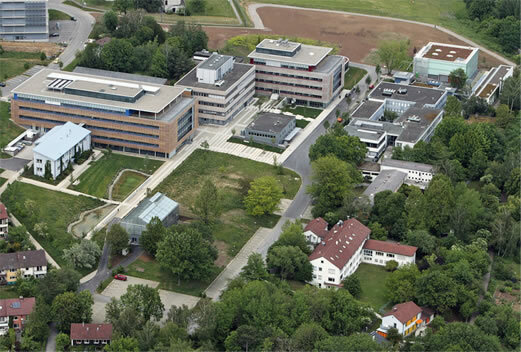 The institute is situated on a campus above the town of Tübingen along with two other Max Planck Institutes. One can walk, bike, or use the excellent bus service to reach the campus from all over Tübingen. The campus provides a contemplative environment for research with beautiful views of the neighboring valleys and hills. Our on-campus cafeteria serves good food at very low prices. The department is very social and generally groups of people have lunch together. In the summer, we sit outside in the tranquil garden. Tübingen is a charming medieval town with a pedestrian-only center. The buildings date from the middle ages but are filled with modern cafes, restaurants, and shops. 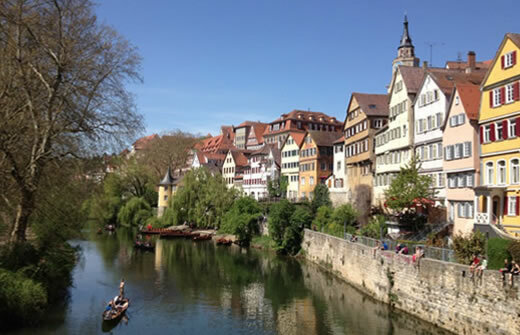 Tübingen is a “university town” which means that there are a lot of cultural activities for a city its size. Tübingen is located roughly in the center of Europe. We are close to Stuttgart, which is a major city. The airport provides easy access all over Europe on discount airlines like Germanwings. The area is full of biking and hiking trails. The climate of southern Germany is temperate (not too hot or too cold) with more sun than other parts of the country. Whether skiing in the Alps, snow-shoeing in the Black Forest, mountain biking in the Swabian Alb, kayaking on the Neckar, or hiking the Schönbuch, there are endless outdoor possibilities. You do not need a car in Tübingen.